I'm a daughter, sister, niece, cousin, granddaughter, grandniece, friend, auntie, wife and mother. I'm an Ausmerican (an Australian of American origin), born and raised in the Pacific Northwest. 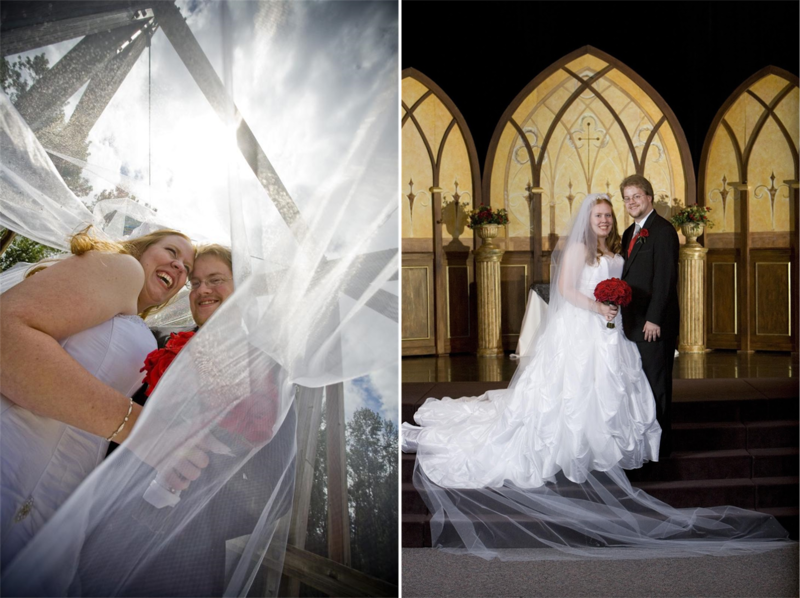 I married my best friend in 2007 and moved to Australia 3 weeks later. 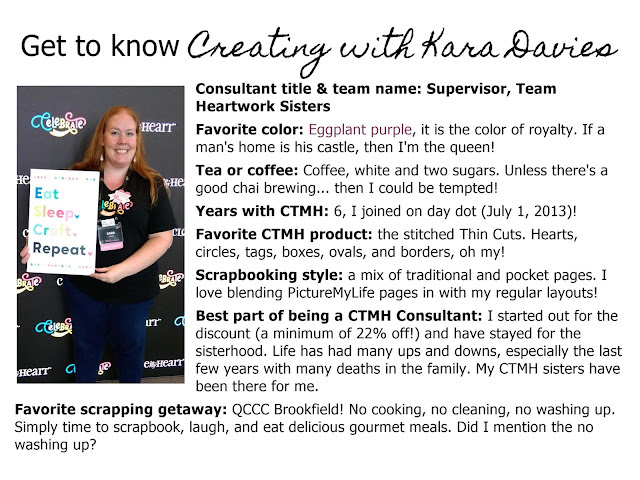 I run my own Close To My Heart business, Creating with Kara Davies, and show others the world of CTMH with my team Heartwork Sisters. I celebrate my 6th birthday in July 2019. 6 years! My passion is teaching and empowering people to get their photos in albums, cards in mailboxes, putting smiles on faces and hearts touched. I show people how to unleash their creativity using Close To My Heart products. 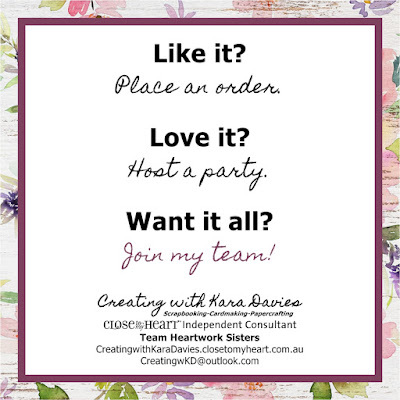 Join my team Heartwork Sisters! Coffee keeps me sane. Baking makes me happy. 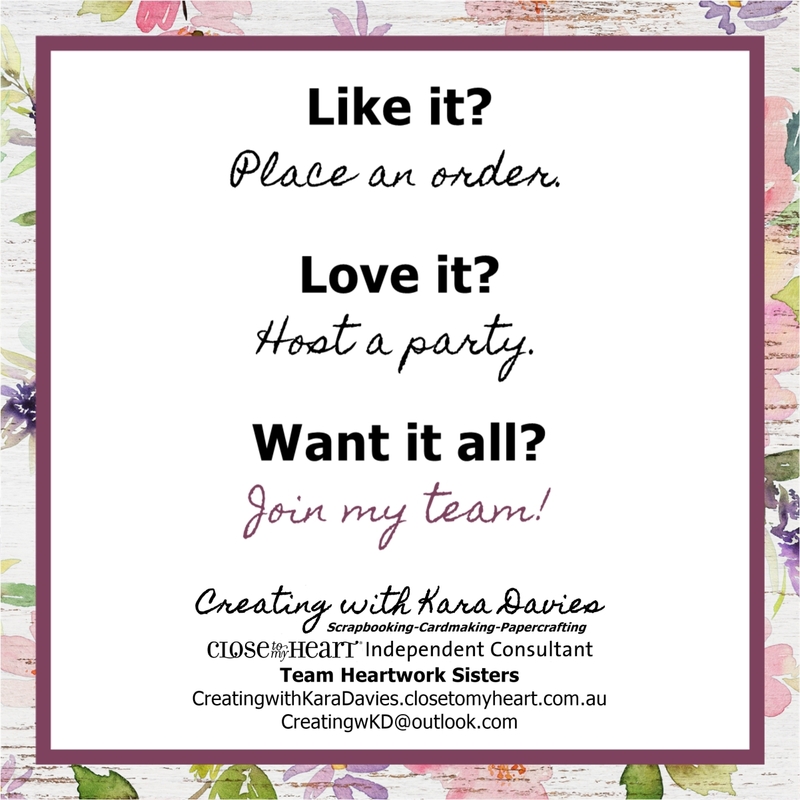 Scrapbooking keeps me grounded and cardmaking keeps me entertained. Music is my heartbeat. I love me some footy, especially the Brisbane Broncos and the Queensland Maroons. I also love me some metal. I'm not your average metalhead. I adore my husband and can't wait to meet our little girl and our little boy again in Heaven someday. My happy place. Coffee, bagel, sorting photos for my pages. Part of my life as wife and mama is to record our family stories. Someday I'll be able to show our children their big sister and big brother's albums. Someday my great grandkids can find out all about how I emigrated to Australia just by reading my albums. I am the keeper of my family's stories and history, a duty I take great pride and pleasure in! A duty that I love teaching others how to do through a variety of ways. At Close To My Heart, we believe in capturing and preserving memories and helping you celebrate the relationships that matter most. 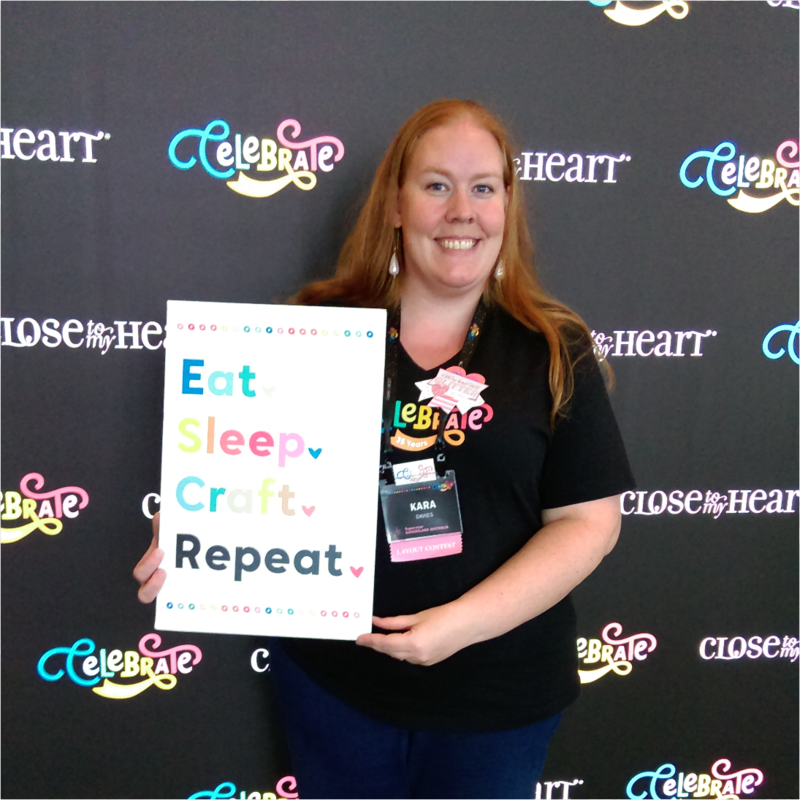 I'm here to help you find your creativity through scrapbooking, pocket scrapbooking, cardmaking, paper crafting, and more! 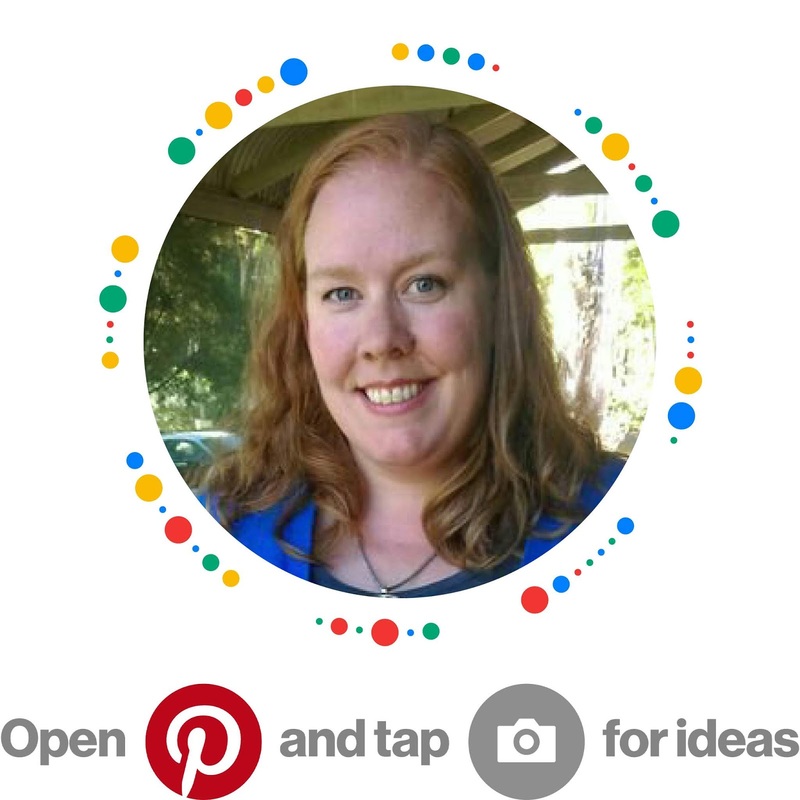 Follow me on Pinterest for great project ideas, inspiration, special offers, and more. Use your phone to scan my pincode below!